We are 2 gals who enjoy the adventures full-timing. 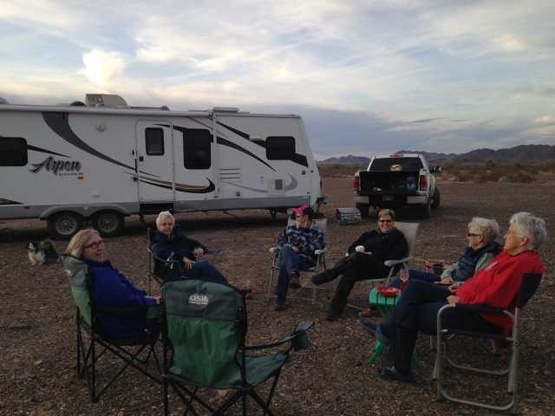 2016 Quartzsite, AZ too windy for a fire! 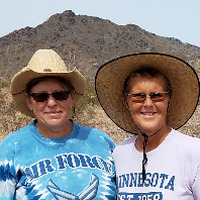 We started in 2011 leaving out from Minnesota to southern Texas and have gone to Nashville, TN to Quartzsite, AZ. We love to go fishing and rock hounding or just to sit by the fireside. 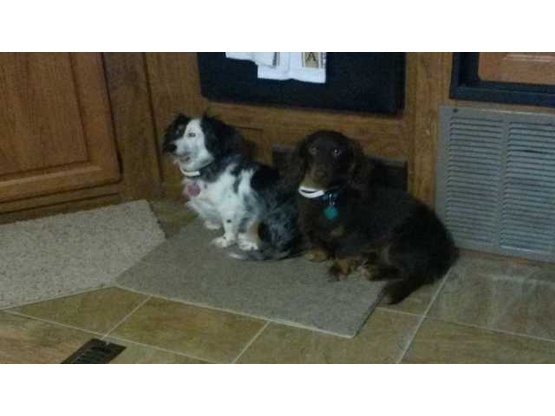 Our traveling companions are 2 long haired Doxies, Tootsie and Hershey, we love them like family. They enjoy traveling in our 2012 GMC pulling our 2017 Keystone Cougar travel trailer and they always know where our home is... behind the truck. Recently we have been workamping summers at Adventureland in Altoona, Iowa so we are close by to see our grandchildren. We enjoy spending time by lakes, streams or the Gulf fishing and boating. 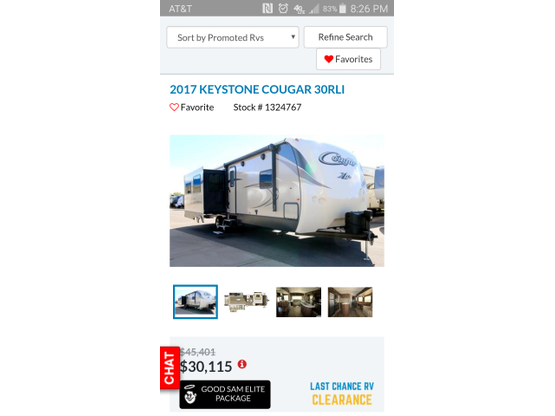 2012 Diamond white GMC Denali, pulling 35ft Keystone Cougar travel trailer with 3 slides. 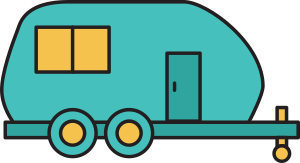 We hosted RVingGypsies for 2 nights. Very nice and friendly couple. They were polite and considerate of our property and we would not hesitate to recommend them. They are welcome back at any time. And they had very well behaved dogs. Nice guests with two well behaved dogs. Only stayed one night, but were welcome to stay longer. Caught more fish off my dock than I ever have. Wonderful guests, lots of laughs and wonderful conversation. They were no bother at all and easy to get along with. They are welcome back again any time.